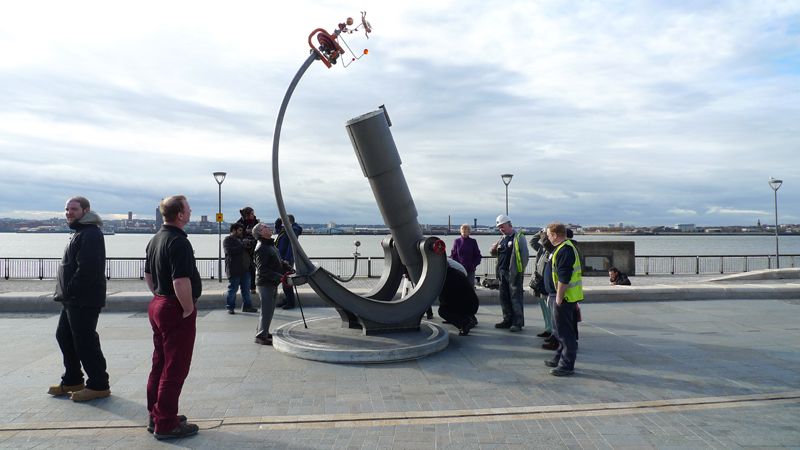 Heaven & Earth, Liverpool Pier Head. 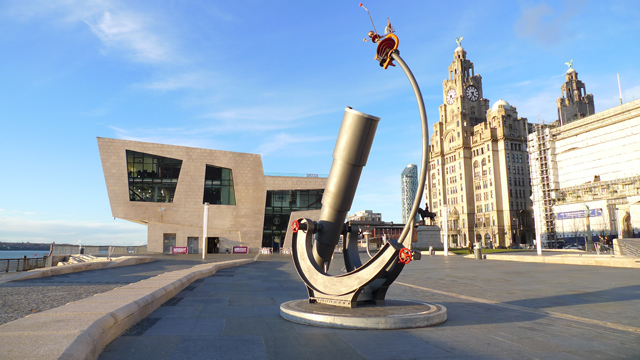 The sculpture is a celebration of the life and works of the astronomer Jeremiah Horrocks from liverpool 1619-1641. He was the first person to accurately calculate the transit of Venus. The sculpture has a working hand powered mechanical orrery, the position of Venus has been replaced by a copper angel version of Jeremiah and as his wings flap he orbits the other planets. Inside the large telescope there is a video animation of the life of Jeremiah by Tim Hunkin.